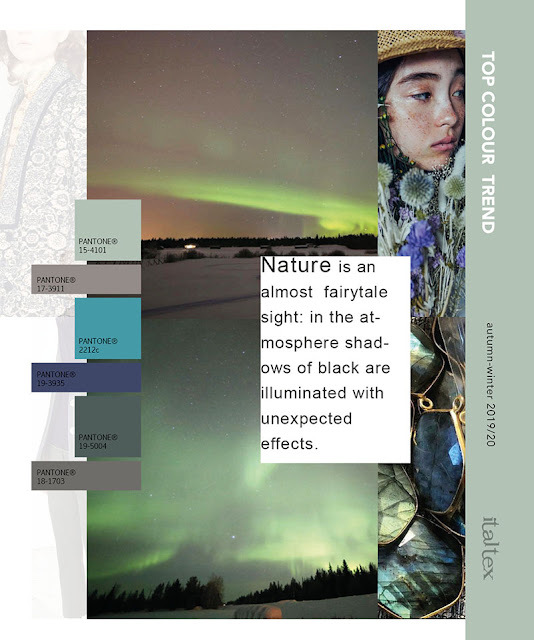 The PANTONE® Reference names and/or numbers are from the PANTONE FASHION, HOME + INTERIORS color system (a component of the PANTONE Textile Color System®). 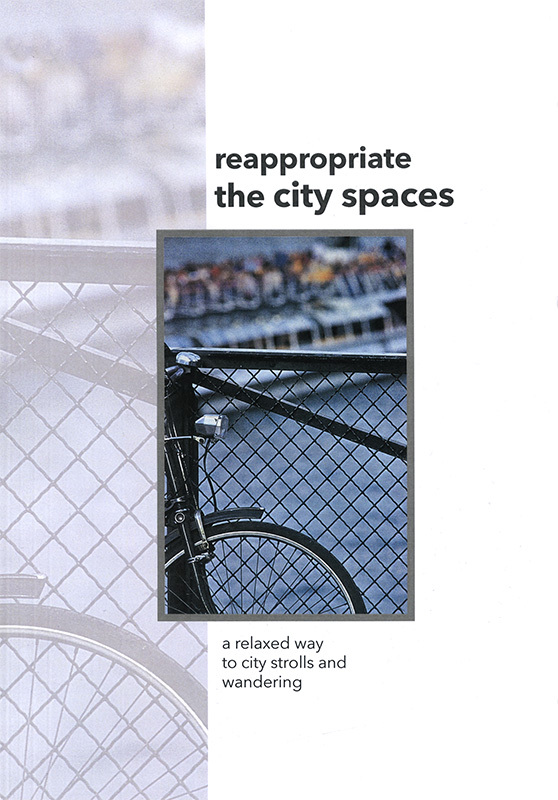 The printed colors shown here are simulations, which may not match the PANTONE Color Standards. For accurate PANTONE Color Standards, refer to the fabric swatch samples enclosed or the current editions of the PANTONE FASHION, HOME + INTERIORS color guide of PANTONE FASHION + HOME cotton selector, whichever is applicable. 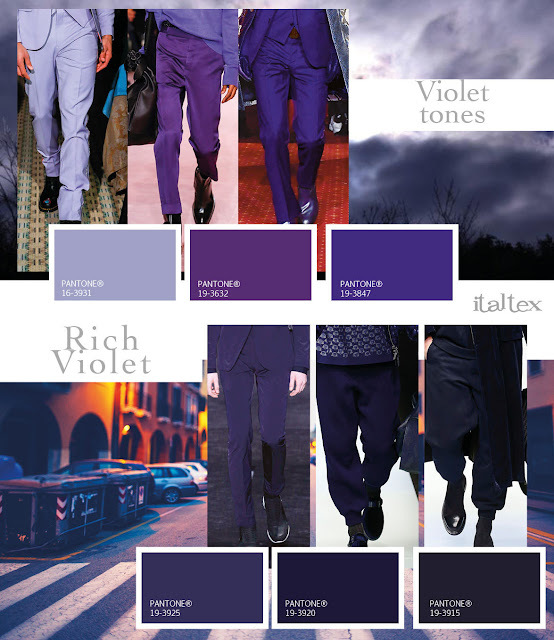 PANTONE® and other Pantone trademarks are the property of Pantone LLC. Portions © Pantone LLC, 2016. Pantone’s trademarks and copyrights used with the permission of Pantone LLC under License Agreement with Italtex Srl. 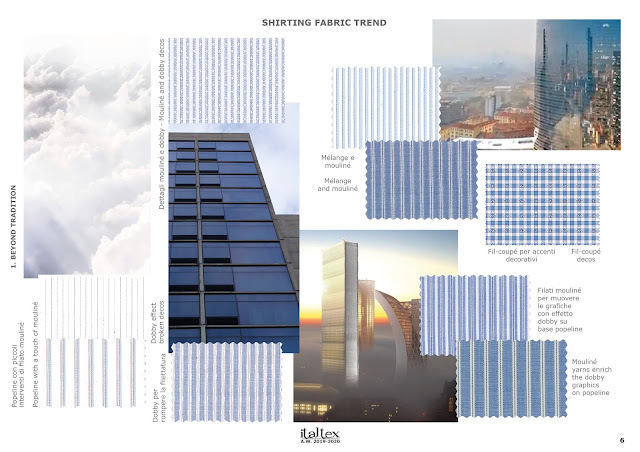 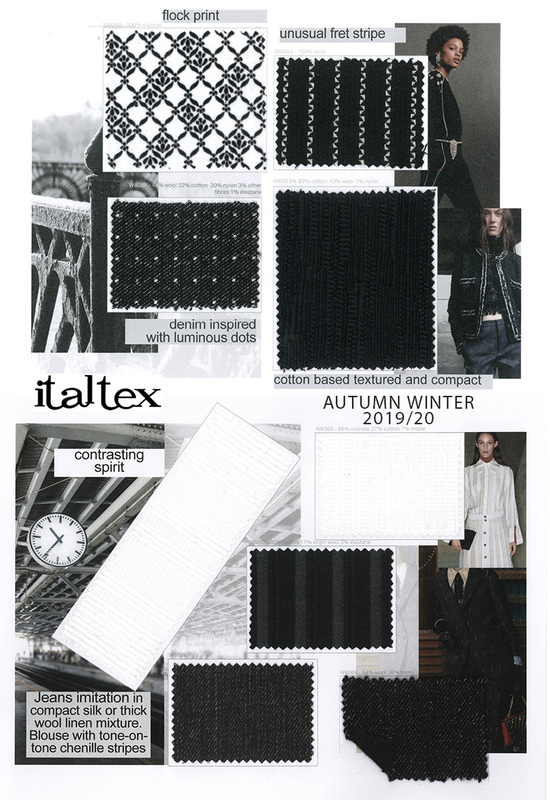 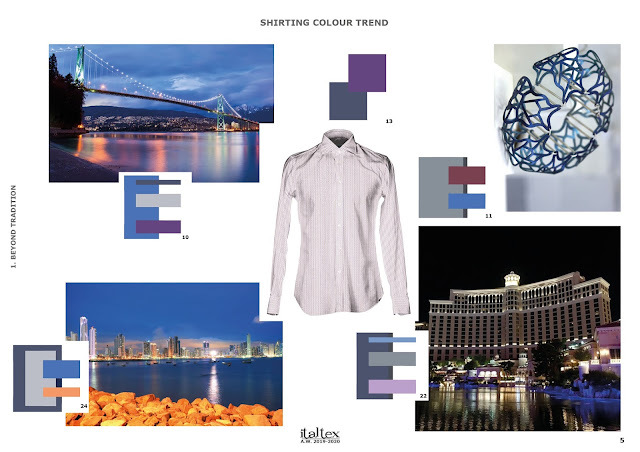 SHIRTING GENERAL TREND Autumn-Winter 2019-2020 is a specific tool for MENSWEAR SHIRTING. 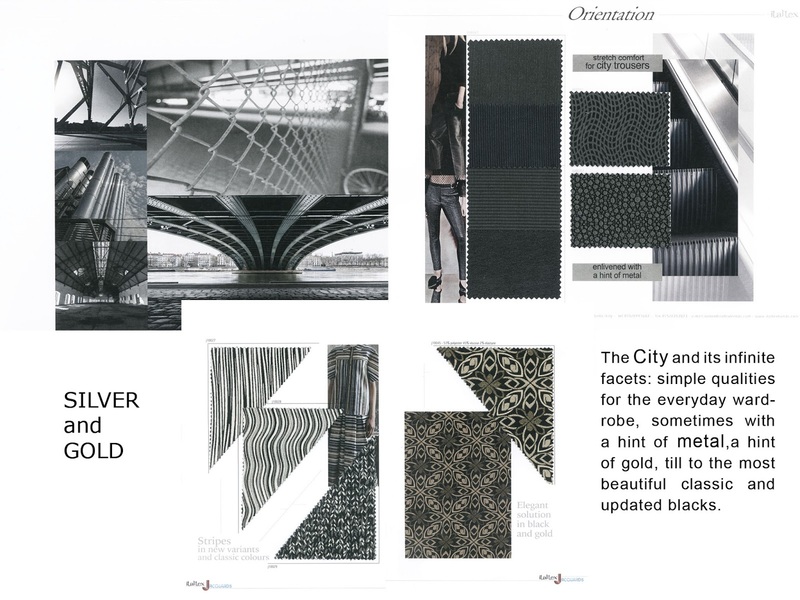 It supports the designer or stylist in the creation of the new collection. 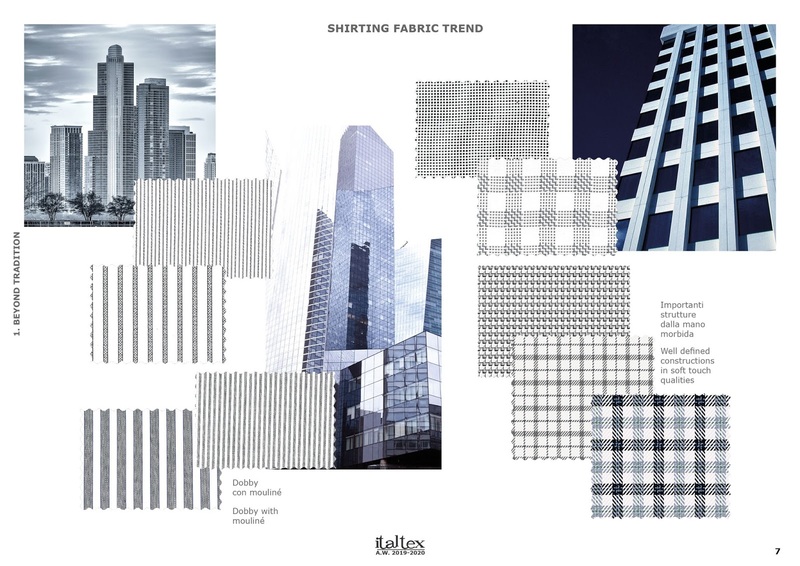 Target customers are both the fabric mills and garment manufacturers. - Description of the season’s general trend. 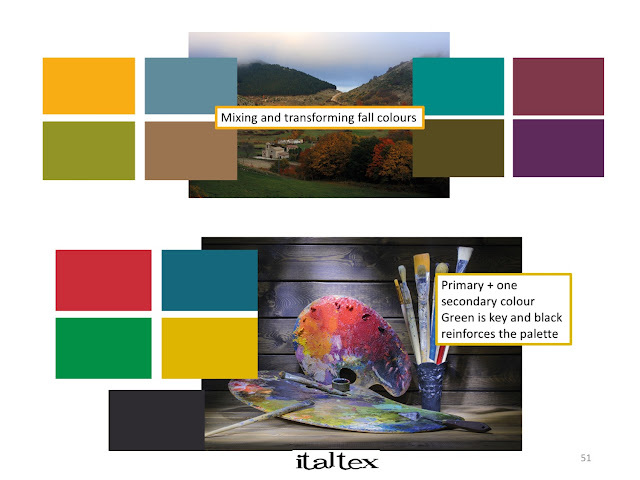 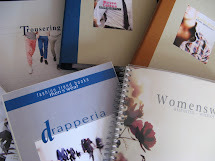 - Index of the 6+6 themes developed for colors and fabrics. 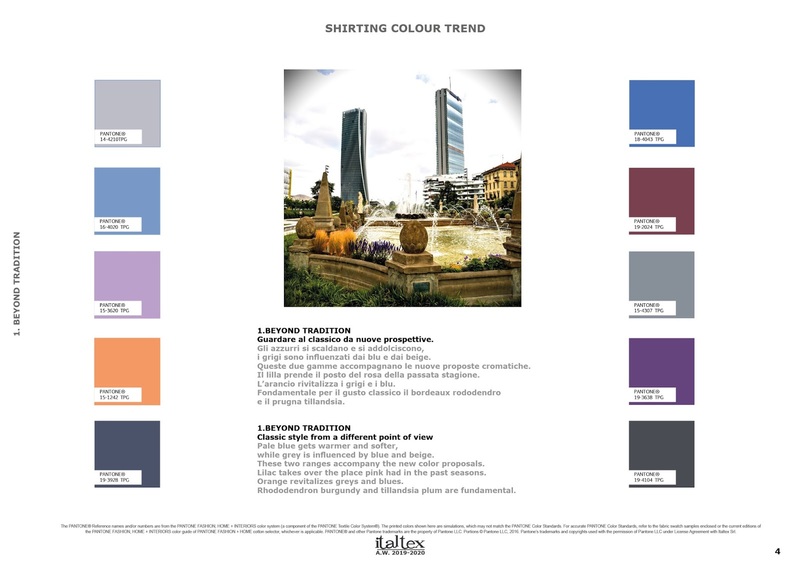 2 MOODS on the color trend - color palette with Pantone® reference numbers and color combinations. 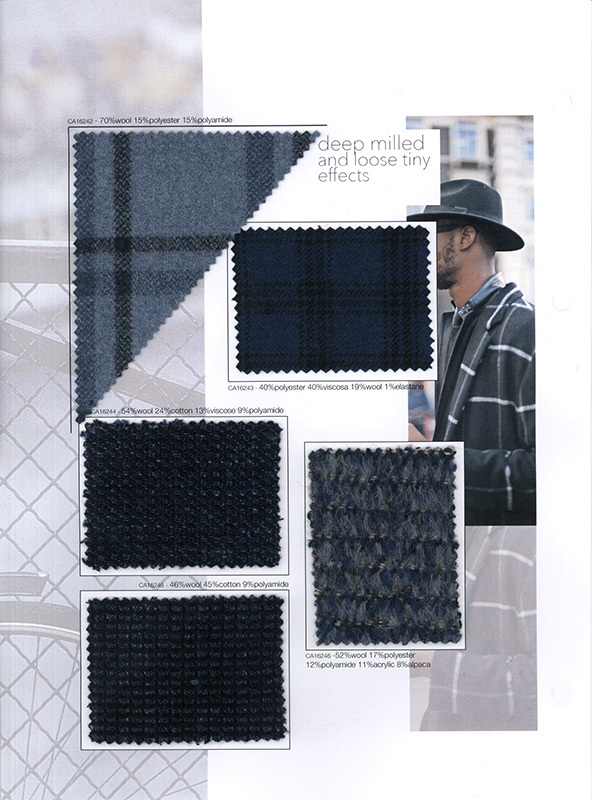 2 MOODS on the fabric trend with pictures of selected fabrics. 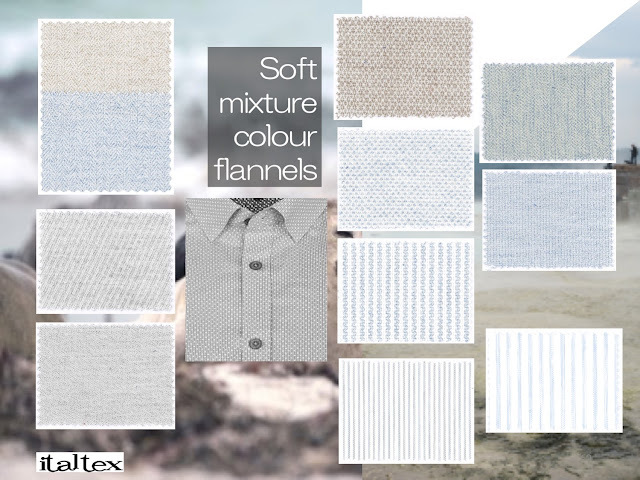 The basic colours of the season are the relaxing and discreet light hues of warm whites, porcelain grey, greyish pale blue, lavender lilac, camel brown, as well as the coloured urban neutrals. 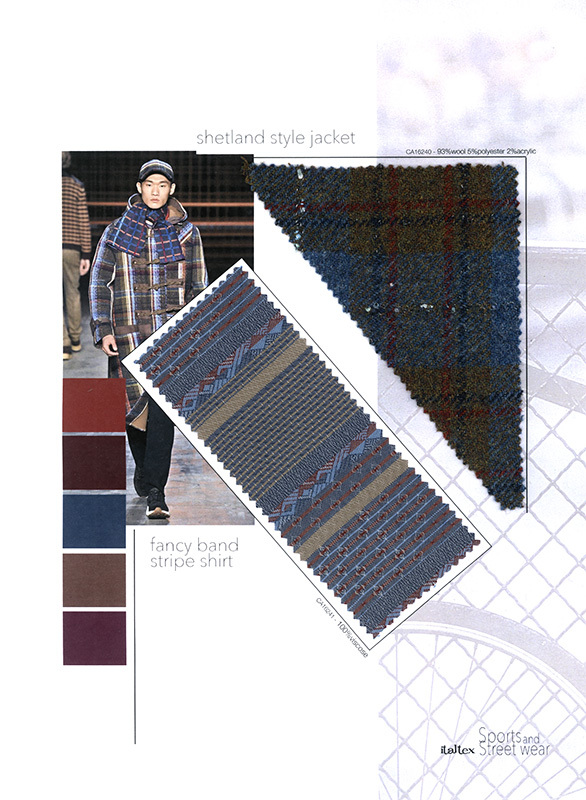 Concerning patterns, as seen before, checks - especially tartans and plaids - are an important theme for trousers, jackets and shirts. 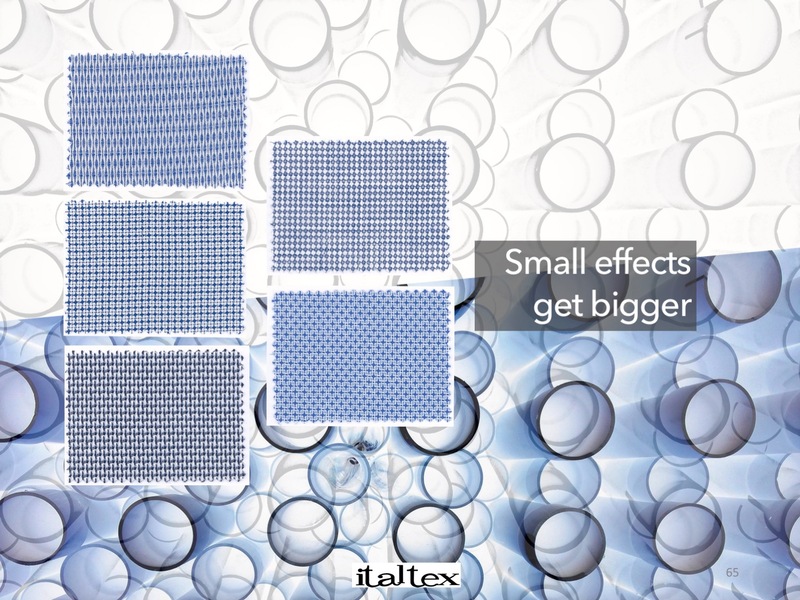 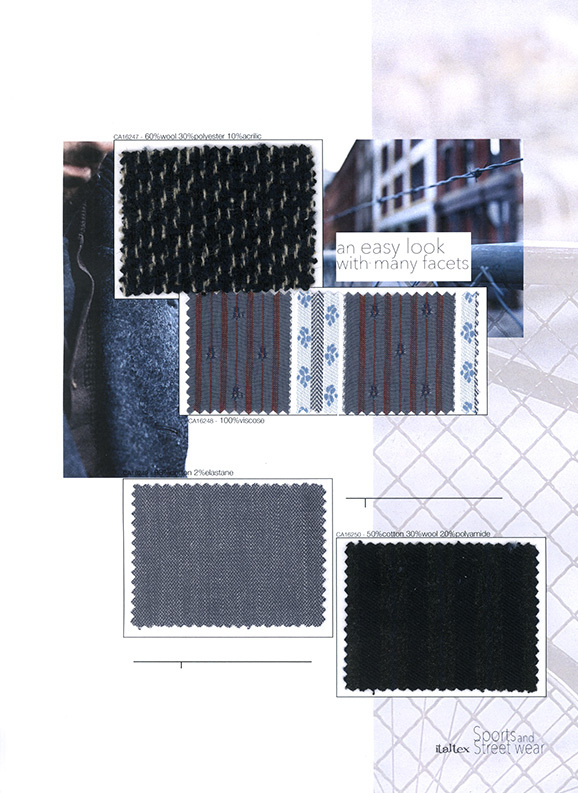 Also for shirting, another important tool to create new effects is the use of fancy yarns. 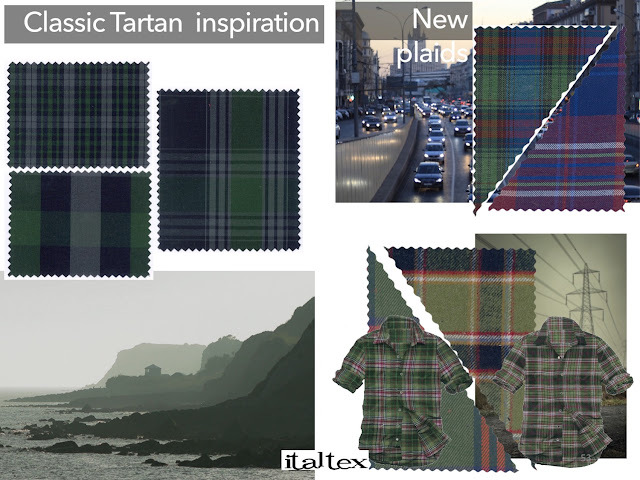 Mixture colour flannels are an excellent example combining sports look and soft hand.